Football is a game constantly analysed and debated, abounding with different schools of thought or even ideologies about how the game should be played. As bloggers and journalists are to football, so this lot are to the equally complex world of literature. But what if they were taken out of their natural habitat and thrust into ours? While I realise the impossibility of them ever happily coexisting for long enough to play 90 minutes, this is my suggestion for an XI of Literary Theorists. A note on style: while significant emphasis would be placed on set plays, the team has also worked hard on novel approaches. Both creative players like to drift between the lines, and the central midfield’s reading of the game is crucial. The team press hard as a whole and cover metre after metre. All players are expected to be good with their feet. Defeat is never glossed over. And, of course, they’re all encouraged to get booked. 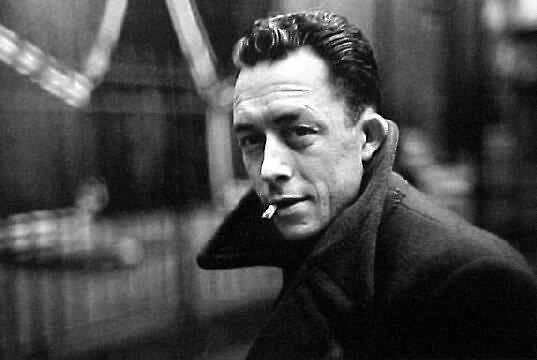 GK – Albert Camus­ – a shoe-in for the position, he has made the number one jersey his alone, indeed very alone. RB – Harold Bloom ­– a contentious pick, but positionally excellent and always knows where everyone is in relation to everyone else; also possesses a fierce free-kick nicknamed ‘The Canon’. DC – Northrop Frye – almost more of a libero, Frye’s ability to see the larger perspective and underlying patterns of the whole pitch makes his long passing fearsome. DC – York Notes­ – unfussy and uncomplicated, York Notes is unlikely to make a mistake; the Vidic to Frye’s Ferdinand. LB – T.S. Eliot – like a long tradition of left-backs, Eliot is curiously self-effacing about his contributions to the team but a huge amount goes through him. Sometimes seems weighed down by the achievements of his predecessors. 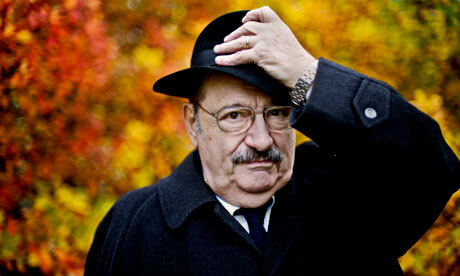 LCM – Umberto Eco – this heavy-weight Italian import is excellent at the translational phases of play. He also brought with him the team’s now famed semiotiki-taka style of passing. CM – Horace – the team’s heartbeat and captain, does a lot of the unfussy work that lays the foundation for everyone else. Also known for his rousing speeches. 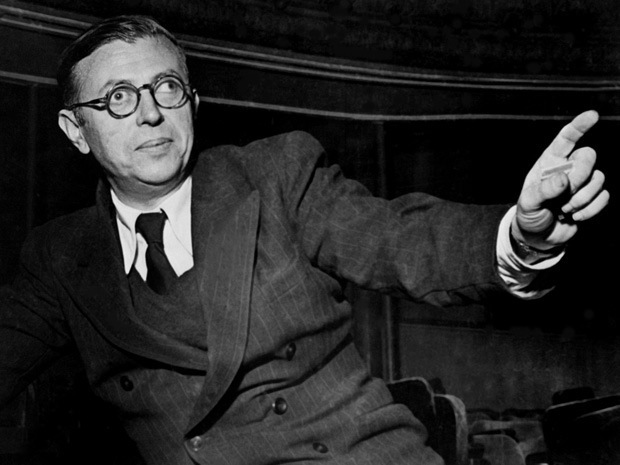 RCM – Jean-Paul Sartre­ – awkwardly always wants to be played on the left, and has a tendency to disappear in the big games into Nothingness. Has also been sick during warm-ups. AMC – Lactantius – Lucius Caecilius Firmianus Lactantius, like every good schemer, is known simply by one name. The creative hub of the team has a Cantona-esque turn of phrase to describe his game: “it is the business of the poet elegantly and with oblique figures to turn and transfer things that have really occurred into other representations”. AMC – Simone de Beauvoir­ – her refusal to fit into the role assigned for her makes her a coach’s nightmare, but she forms a productive partnership with Sartre. The team’s trequartista. CF – Roman Jakobson – an extremely technical player has learned from the greats by endlessly studying their moves. Also coined the phrase ‘form is permanent; class is temporary’. Wolfgang Iser – the team’s substitute keeper’s flashy saves show he cares about little beyond what the audience think of him. Aristotle – while largely superseded by younger, fitter players, his influence on the team cannot be underestimated. Invented the beautiful game and everyone wants to copy him. Jonathan Culler­ – a very superstitious player, he looks for signs in everything. Fined once for not texting enough in training. WK Wimsatt – while desperate to be seen as a team player, Wimsatt’s use is restricted by his selfish focus on the individual’s role and not the end result. Derrida – his inability to accept intrinsic meaning in anything means he tends to disrupt the tactical set-up but he can flourish in the ragged, later stages of a game when order gives way to openness. J. Hillis Miller – see Derrida, but more so; the equivalent of starting with your goalkeeper upfront. Roland Barthes – while extremely talented, he is currently benched due to disciplinary problems having tried to kill the manager. Manager and first team coach: Ferdinand de Saussure and Claude Levi-Strauss – noted for the organisational ability of their terms, both coaches would argue that the team is greater than the sum of its parts and only becomes significant when so assembled. Saussure does the thinking, Levi-Strauss does the talking. Referee: Plato – sadly, he is likely to send everyone off. The match will be broadcast live and commentary will be provided by Averroes. This entry was posted in Hypothetical XIs and tagged albert camus, aristotle, hypothetical XI, jean paul satre, literary theorists, plato, umberto eco by Alex Stewart. Bookmark the permalink. Socrates was a doctor, an intellectual, a heavy drinker and a smoker, never afraid to question a referee’s decision: ‘You need to question everything you can’.